Happy Thanksgiving! We racked our brains to figure out the most holiday-appropriate Nicolas Cage movie to watch for today. There’s a Thanksgiving Day parade at the end of The Weather Man, but we’ve revisited that one already. Instead, we watched Left Behind: a movie where a family is separated, sinners from saints, forever! That felt appropriate. In this episode, we look back at one of the worst movie that Nicolas Cage has ever made and wonder why these types of movies feel like self-parody when they are trying so hard to reach for self-righteousness. We also welcome in the beginning of the Nicky Whelan era in Cage’s filmography, grumble about the plane’s many empty stereotypes, and wonder why a pilot as (supposedly) good as Cage can’t see a pick-up truck “flashing its brights” while he’s flying above Los Angeles. 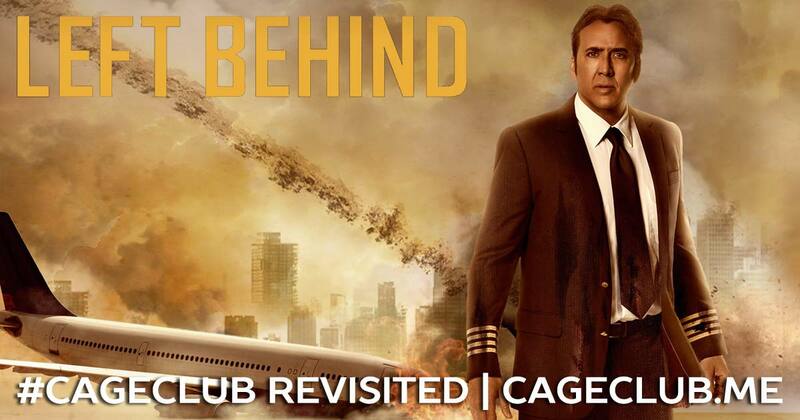 If you want to hear our more insightful and in-depth podcast episode about Left Behind, you can find that here. Download the bingo board template (.xlsx), plus bingo “squares” (and how to randomize).